Six well known GAA figures, all former players who have gone on to enjoy success as managersgave their views on the upcoming Munster and All-Ireland hurling championships to an a ttentive audience in the West County hotel on Friday night. Before a sell out crowd of 420 people who gathered to support the Ger Loughnane cancer challenge weekend, Ger Loughnane (former Clare player and manager), Brian Cody (Kilkenny manager) Davy Fitzgerald (Clare manager), Anthony Daly (former Clare captain and manager and current Dublin manager) Liam Sheedy (Tipperary All-Ireland winning manager) and Ritchie Bennis former Limerick player and manager) spoke about the likely winners in this year’s championship and the role of referees amongst a few other issues. Ahead of talking about the challenge facing Clare as they set out in defence of the All-Ireland title they won in such exciting fashion last September, Clare manager Davy Fitzgerald paid tribute to the work of “Donal Moloney and Gerry O’Connor and their management team for what they have achieved in recent years and also to Seanie (McMahon), Jamesie (O’Connor), Brian Quinn and Jim Mac(McInerney) for their work with the development squads. They have helped develop the players that I am fortunate to manage at this time”, Fitzgerald told the audience in answer to a question from the MC, Marty Morrissey. Kilkenny boss Brian Cody readily agreed that his charges will be “in the mix. There are five or six teams that can win the title and we are amongst them. We will be competitive”, said the man who has guided the noresiders nine All-Ireland titles. “The reality is that the champions are here (Clare), the age profile of the team, the confidence they have gained from last year’s win, they have earned the respect. We have been in that position”, said the James Stephen’s man before repeating that “we will be in the mix. The controversy which has been in Limerick hurling in recent times “has been blown out of proportion”, according to Limerick All-Ireland winning hero from 1973, Ritchie Bennis who went on to tell the audience that Limerick should not have re-appointed Donal O’Grady as manager. “His style of hurling doesn’t suit Limerick. When John Allen took over from O’Grady two years ago he realised that and he changed the style to a more direct style and I don’t think that the county is very disappointed. I believe you will see a fair fired up Limerick team on Sunday” the Patrickswell man said when looking ahead to Limerick’s opening tie with Tipperary. According to Tipperary’s Liam Sheedy “any time Limerick come to town, they expect to win. They are a passionate hurling team. Tipperary have got all the warning signs they need from Limerick. With 56 minutes played in Thurles two years ago, Limerick were four points up. Last year Tipp were four points up and you’d day they were going to win the game but Limerick had an excellent last 25 minutes. Tipp know exactly what is coming but they are generally formidable in Thurles. It’s a tough place to beat them but I would say that Tipp are further on this year”, said Sheedy who is again assisting with the preparation of the Newmarket senior hurlers this year. He disagreed with Bennis’ view that the decision of Donal O’Grady to leave the Limerick management won’t do damage to Limerick’s preparations. “It’s not good when one of the key people walks away with just a few weeks to go. It will be a tough job to deal with it”, he said. Looking ahead to Dublin’s opening game in defence of the Leinster title they won last season, Dublin manager Anthony Daly expressed satisfaction with their preparations. 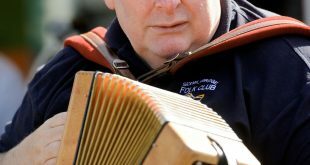 While they had a relegation contest in the recent league, he was happy with their win in Waterford which secured their top division status for next season. “That was a big win for us”, he said. He noted from Dublin’s recent challenge with Limerick that “the team was very united and very together and I expect they will give it a lash on Sunday against Tipperary”. Continuing the Dublin boss said “winning Leinster last year was a big break for Dublin hurling people. The minors have beaten Wexford and Kilkenny this year and the 21’s are going well. We have a few injuries and we don’t have the depth some of the counties have but I’d be hoping that we will be one of the five or six teams that Davy talked about”. Responding to a question from Marty Morrissey as to what Kilkenny do in training, Brian Cody replied “our training is very basic really. For a number of years training sessions were open and a lot of people came at different times. It’s fairly straight forward. Hurling is a game of skill and the best training for hurling is to be playing hurling”, he said. “We have never gone with the morning sessions. We obviously have some very skilful players. We referee the games very strictly”. 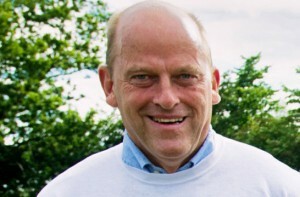 Asked to predict the winners of the All-Ireland, Ger Loughnane again went for Galway. He said when they lost the 2012 final they had problems in the central defensive positions of goalkeeper, full and centre back but he felt that they “”seem to have those resolved now”. Stressing that “they never went away”, Ritchie Bennis went for Kilkenny to win but added and Clare and Tipperary won’t be far away. Liam Sheedy went for his native Tipperary repeating that in his view “they are in a better position now than they have been”. In Anthony Daly’s view “the longer Clare stay in the championship, the stronger their chance and they love Croke Park”. Brian Cody repeated his view that there “are five or six teams in the mix and we (Kilkenny) are one of them. 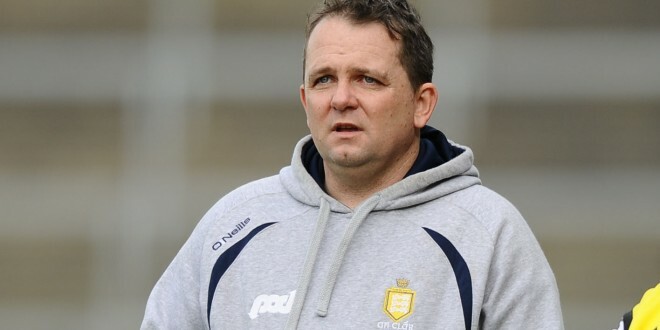 Davy Fitzgerald refused to look beyond /Clare’s first round which will be against either Cork or Waterford on June 15”.